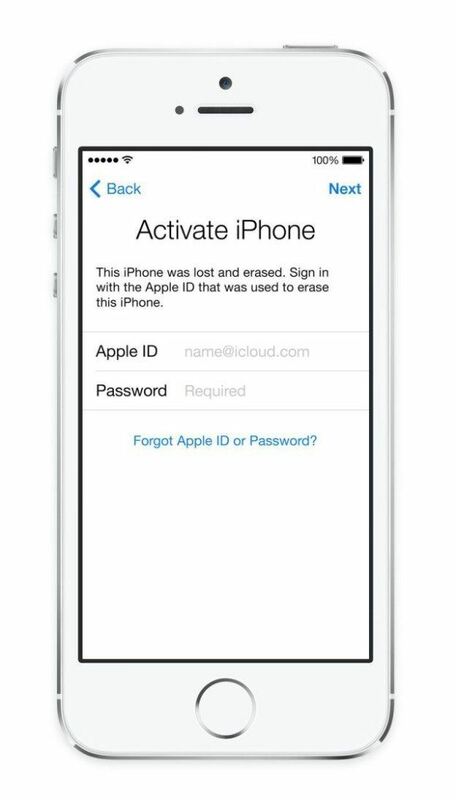 iPhone Activation Lock: Activation Lock is enabled when you turn on Find My iPhone on a device using iOS7 or later. This app has been designed to prevent anyone else from using your iPhone, iPad, or iPod touch if it’s ever lost or stolen. With Find My iPhone Activation Lock, you’ll need your Apple ID and password before anyone can turn off Find My iPhone on your device, erase your device, or reactivate and use the iPhone, iPad or iPod touch. This feature helps keep your device secure, even if it’s in the wrong hands. It also can improve your chances of recovering the lost or stolen device, because even if you erase it remotely, Activation Lock can continue to deter anyone from reactivating your device without your permission. All you need to do is remember your Apple ID and password, and keep Find My iPhone turned on. For Find My iPhone Activation Lock to work, first, enable Find My iPhone. Your Apple ID is securely stored on Apple’s activation servers. It is linked to your iPhone, iPad or iPod touch. From that point on, anyone who’d like to turn off Find My iPhone on your device, erase it, or reactivate and use your device, will need a password. Activation Lock is enabled automatically on a device using iOS 7 or later. To turn on Find My iPhone: Tap Settings > iCloud > Sign in with your Apple ID. If necessary, select Turn on Find My iPhone. If you ever misplace your device, or if you think it may have been stolen, you should put it into Lost Mode immediately using Find My iPhone. Lost Mode locks the screen of your device with a four-digit passcode and lets you display a custom message with your phone number to help you get it back. You can remotely erase your device if needed, but this message will continue to display even after the device is erased. Activation Lock works in the background to make it more difficult for someone to use or sell your missing device. Lost Mode indicates to anyone who finds your device that it still belongs to you and can’t be reactivated without your password. To put your iPhone, iPad, or iPod touch into Lost Mode, sign in to icloud.com/find from a Mac or PC, or use the Find My iPhone iOS app. Don`t forget to turn off Find My iPhone before giving away your device to someone else. Doing so, you’ll ensure that the other person will be able to activate and use the device normally. To turn off Find My iPhone, and remove the device from your iCloud account, go to Settings > General > Reset > Erase All Content and Settings. Activation Lock works only with the iPhone, iPad, or iPod touch devices using iOS 7 or later. iGotOffer.com: the best place to sell your old iPhone online. Top price guaranteed. Free quote and free shipping. BBB A+ rated business.